PLATEminus is an ultralight, streamlined plate carrier utilizing the patent pending MOLLEminus technology. Perfectly suited for low vis situations, PLATEminus is so light and thin, it can be concealed under jackets or outer garments. 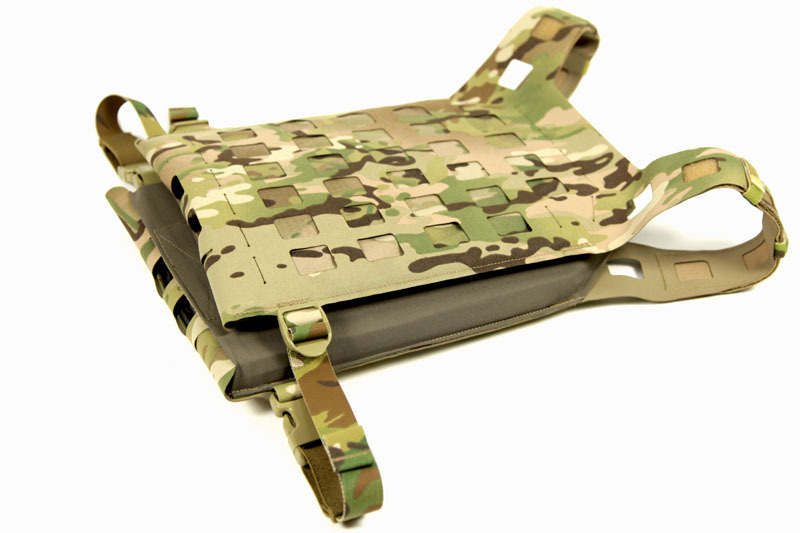 The front and rear are fully MOLLE compatible or the carrier can be run slick for maximum concealability. The fully enclosed color matched Plate Pocket covers SAPI or ESAPI style armor plates for maximum signature reduction. Also capable of holding soft armor plate backers. PLATEminus is secured on each side with two adjustable side release buckles, 1" webbing, and a small section of elastic to absorb impact from movement and breathing. The Low Profile Shoulder Straps are adjustable with hook and loop closures and have sewn in One-Wrap for cable routing. For the extremist, excess shoulder strap lengths can be cut off further reducing grams and bulk. Designed to work in conjunction with Blue Force Gear Enhanced Shoulder Pad Wraps if you need extra padding. 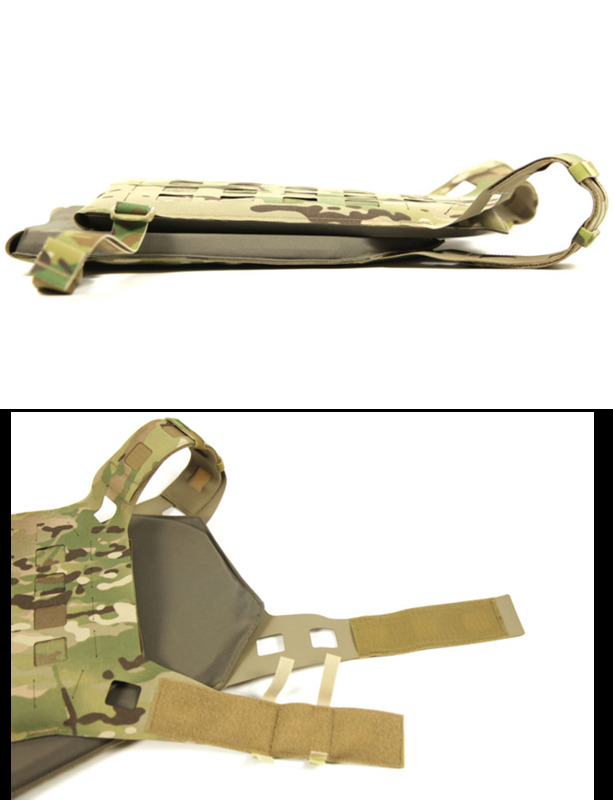 Front and Back panels feature a single column of horizontal PALS/MOLLE at the bottom edge to hold tourniquets, comms routing, and PALS compatible pouches. Works great with the Blue Force Gear Tourniquet Now! Strap. THIS ITEM CAN ONLY SHIP TO USA AND APO ADDRESSES.